Progressive Judaism is rooted in the Bible, especially in the teachings of the Nevi’im – the Hebrew Prophets. It is based on authentic manifestations of Jewish creativity, ancient and modern texts and the desire to learn what God expects of us: justice and equality, democracy and peace, personal development and collective obligations. Progressive Judaism is anchored in Jewish thought and tradition, which seeks to expand Jewish observances by providing full equality for all Jews, regardless of gender and sexual orientation – and work for a society that corresponds to the values which are rooted in the fundamental principles of Judaism. One of the guiding principles of Progressive Judaism is the autonomy of the individual. As Progressive Jews we have the right and duty to decide how we as individuals should live out our Jewish faith and practice. Progressive Judaism recognizes that all Jews – whether they be Liberal, Reform, Conservative, Reconstructionist, Orthodox or secular – are essential parts of the worldwide community of Jews. 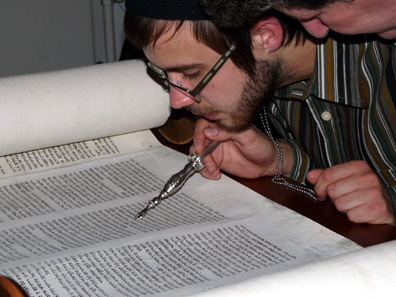 Progressive Judaism maintains that as devoted Progressive Jews we have an obligation to examine the Jewish tradition and to observe the Mitzvot (sacred acts) that are important today and for the person, and which can ennoble the Jewish family and community. Progressive Judaism differs from more traditionally observant forms of Judaism in and with the recognition that the sacred heritage has evolved and adapted over centuries and that it must continue to do so.